A hug is the most efficient way to handle tantrums. I planned to publish this post on National Hugging Day which was on January 21, but for some unforseen circumstances, I couldn’t. That not withstanding, it’s better to be late than never. I will be sharing with you my opinion on why hugging your child is so important. The National Hugging Day was created by Kevin Zaborney and takes place on January 21 every year. The first ever celebration took place on January 21, 1986 in Clio, Michigan, United States of America. The National Hugging Day is aimed at encouraging people to hug their family members and friends frequently. This day is different from the National Hug Your Kids Day which is celebrated on July 17 and encourages parents to practice hugging their children on a daily bases. Hugging is a show of affection and being supportive. It helps in the long term development of children according to research. 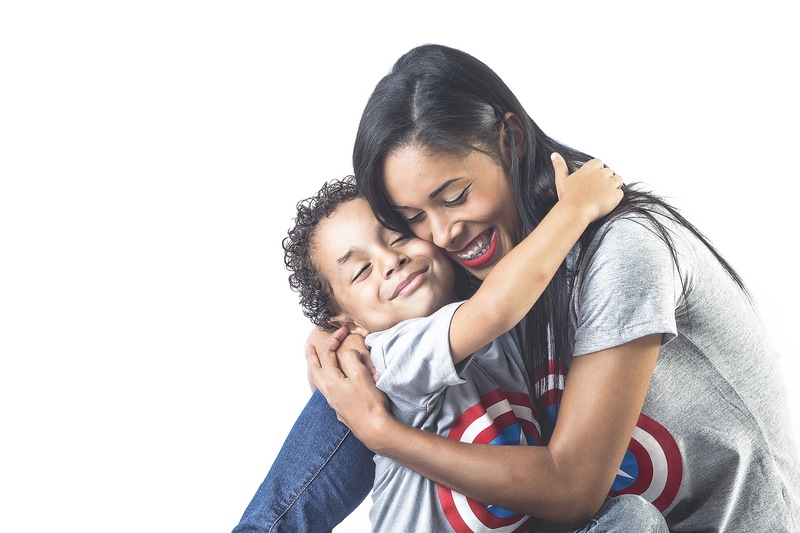 A simple hug can help calm your child, reduce stress and help to keep the child’s mind healthy. A hug to say goodbye, another for a hello and most of all, a hug to give comfort. Hugging your children often can help them feel loved and supported. It can help to reduce stress levels. In a report by the American Psychological Association, almost one-third of kids have experienced physical stress-related symptoms. Giving lots of hugs to kids then will help to provide support and stress-relief for them. If you give lots of hugs to your kids, they will tend to hold out their arms each time they see you expecting a warm embrace. This will end up becoming a habit because they will also be opening their arms frequently to embrace and comfort others. Give them hugs when you are saying goodnight, before they leave for school, when they are in pains or crying or anytime you feel as to do so. Mothers best know that the most efficient way to handle tantrums is by giving a close and warm hug. A warm embrace will calm down a tense sitiuation especially when the child is frustrated. A hug is a non-verbal assurance that speaks really loud. It automatically reinforces a childs behaviour and calms them down so they can listen to you better. It will be perfect when it is accompanied by some warm words. At times a hug, accompanied with some nice words is what your child needs to understand a situation. Take for instance you correct your child and he or she starts to cry. You just need to hug the child and tell the reason why what he or she did was not right. The child will immediately understand that mum or dad did that out of love and not hatred. It builds their confidence in you which will later help them as they grow to be supportive persons. Let’s consider the National Hugging Day a prelude to giving lots of hugs to our kids. The simple playful interactions, physical presence accompanied by affectionate touch is soothing and makes a child feel loved. Happy Hugging Days to you beautiful people!